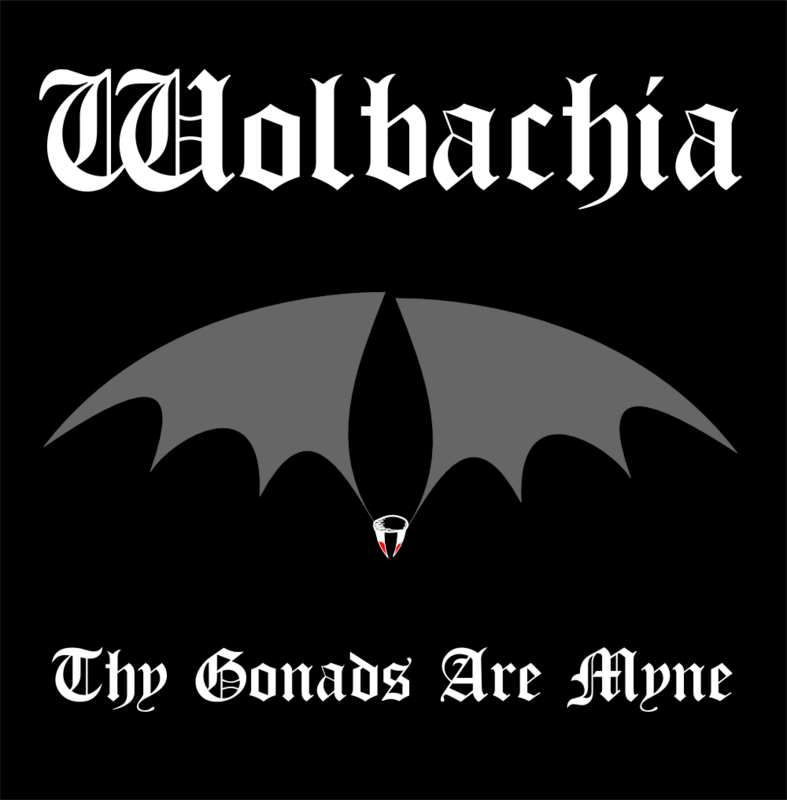 I guess I should make it clear that we humans are quite safe from this devilish horror - Wolbachia has little interest in fleshy beings like us - their considerable attentions are devoted primarily to arthropods. Arachnids, terrestrial isopods, even certain nematode worms are touched by this evil, but it's the insects that have it worst. 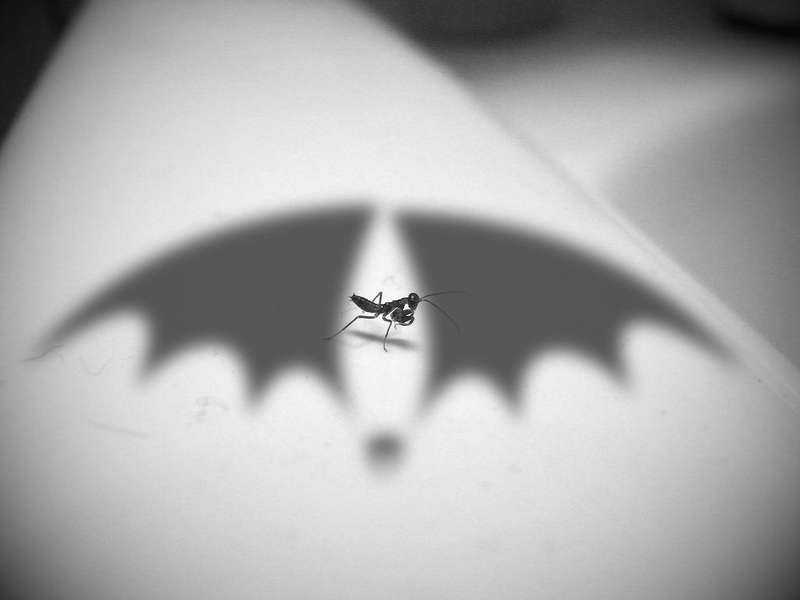 At least 20% and perhaps as much as 70% of all insect species across the world are infected. Marine and freshwater crustaceans appear to be safe, so it seems water (holy or otherwise) is the only thing that can stop the shadow of Wolbachia from eclipsing the earth. 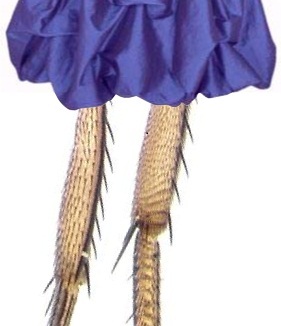 We need to inspect some gonads. Wolbachia resides within the sexual organs of its host; the testes of the male, the ovaries of the female. There are a few ways it could of gotten there. Perhaps an infected insect was eaten by another insect, maybe a parasitic insect infected its host or, most common of all, perhaps our infected insect was simply born that way. 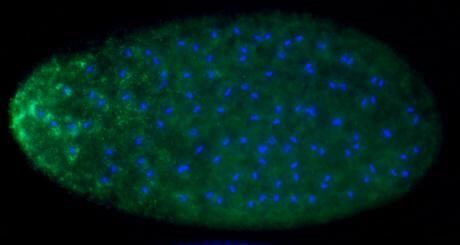 Chromosomes in blue, Wolbachia in bright green on the left end. The thing is, only females can pass on the infection to the next generation. 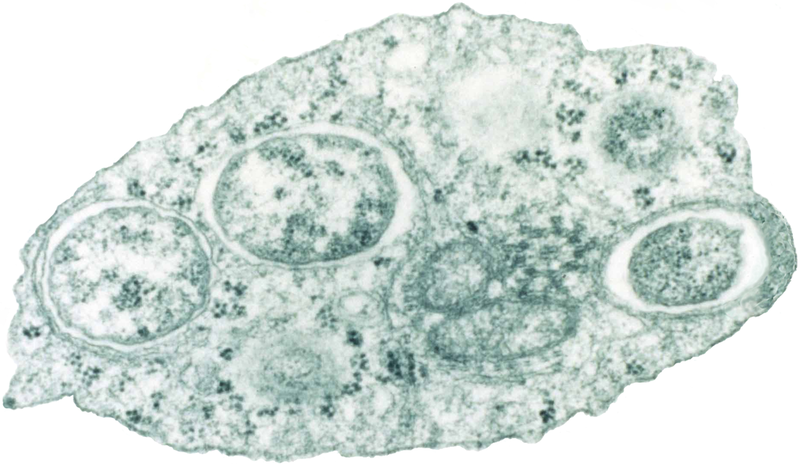 Wolbachia can be found within the eggs that will develop into a new victim, but they can't infect the egg by travelling within the sperm. Wolbachia loves the ladies. Males are rather more... expendable. The Gonad Lord has 4 ways of dealing with males. The most brutally simplistic method is to kill them. As an infected male larva develops, Wolbachia slays it in its youth. More subtle is feminization, where the Prince of Private Parts suppresses the androgenic gland so that males develop into females instead. Sometimes the females that develop are fully reproductive and can lay eggs of their own, thus expanding the Ovarian Kingdom. Other times they're infertile, which isn't so ideal. Best of all, if possible, is to induce parthenogenesis. This is where Wolbachia enables females to produce offspring without requiring males at all. In a sense, this is worse of all. The male of the species is completely wiped out and need never exist again. Scientists have treated individuals of these all-female species with antibiotics, destroying her Wolbachia infection such that she produces males for the first time in unknown eons. These strategies for making males not exist any more are great if you're into that sort of thing, but it's difficult and rare. Instead, Wolbachia's most common approach is called cytoplasmic incompatibility. It's pretty clear that Wolbachia considers the male of the species a great, big waste of time. It won't be laying eggs and the sperm can't be used to get into an egg. It's a bit of a dead end. However, all is not lost; using dark, chemical magicks, they can modify their host's sperm cells so that the host male can only successfully reproduce with an infected female. If the female is uninfected, or even if it's infected with a different strain of Wolbachia (a kind of rival clan), then the egg won't develop into a new adult. 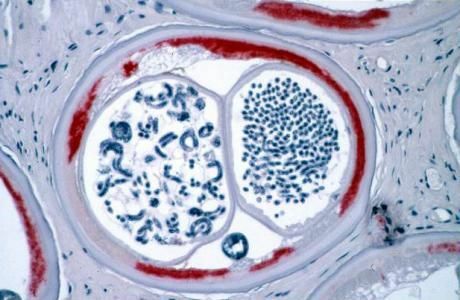 It's a kind of indirect way of controlling reproduction, doing whatever they can to ensure that every time new life is successfully brought into the world, Wolbachia already lurks within. Indeed, some insects are now completely dependant on Wolbachia for reproduction. 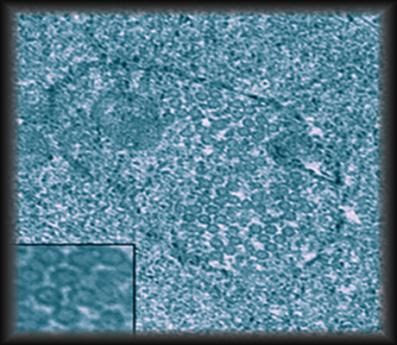 This cytoplasmic incompatibility can also drive speciation; if an infected population can no longer reproduce with an uninfected population, they may soon become separated enough to become two distinct species. This relationship isn't always one-sided, either. Wolbachia can confer certain advantages to their host, making them more resistant to viruses or insecticides. At least one nematode worm has become completely dependant on its infection, with Wolbachia providing it with chemicals necessary for survival that the worm no longer provides for itself. A dark bargain indeed. And the relationship can get more intimate still. 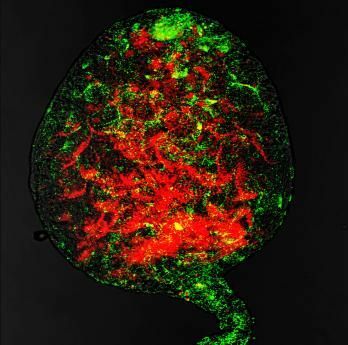 Some bacteria don't simply live within their host's body, parts of their very DNA can find its way into the genome of their host. 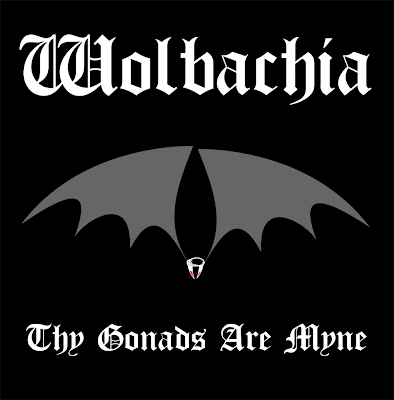 Wolbachia goes further. 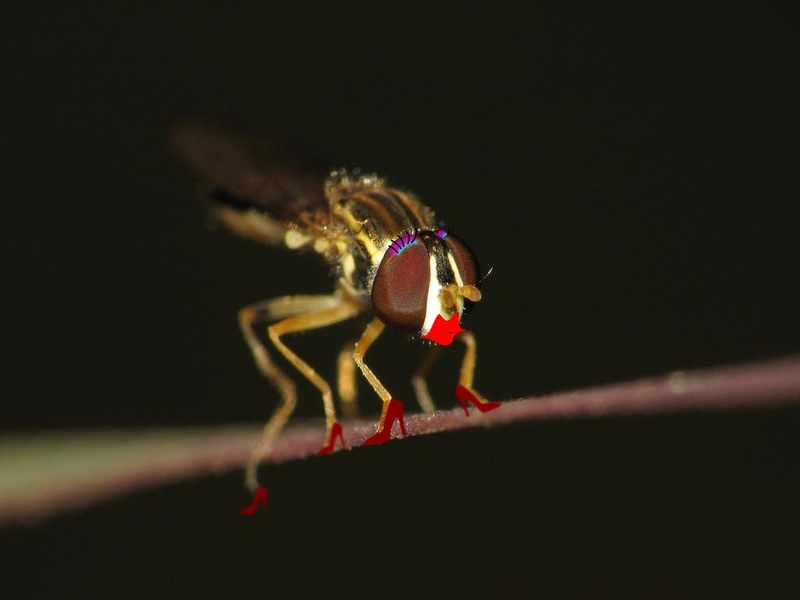 There's one fruit fly who has almost the entire genome of Wolbachia within its own genome. 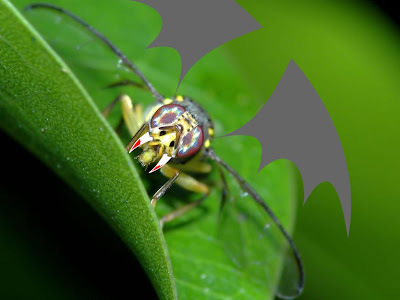 Wolbachia, in all its grim glory has inveigled its way into the blueprint of its host. Every cell whispers that dire name, and speaks of its sickening power. Of course, Wolbachia doesn't always have it its own way. Sometimes things don't go too well when it infects a brand new host species. Instead of quietly settling into its new domain, the Dweller of Gonads drives its prospective host insane. Specifically, the insect's immune system sets about destroying every cell that Wolbachia inhabits, which can lead to the destruction of the gonads or even the brain. Cross section of disease-causing nematode worm. There is also research going on to see if we can use Wolbachia to control certain pests. 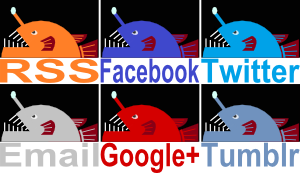 No, we shan't be making quid pro quo deals with this beast, but with its tendrils of control reaching so deep into the lives of their hosts, there are many strategies that can be employed. Here you can infect mosquitoes to reduce their lifespan, there you can kill Wolbachia to render nematode worms dead or sterile. That's good news, since some of those nematode worms are parasites who cause diseases like river blindness and elephantiasis in humans. Wolbachia cell packed full of viruses. And there's one other issue for Wolbachia: most of them are full of viruses! They're all there living in the Wolbachia cell, itself within the cell of a host which may well be a parasitic insect or worm. Awesome! I had no idea there's such a thing that could infect and alter insects so much (it's even now more memorable and hilarious with all the fun gothic vibes in this article!). Man, I keep learning more unusual facts everytime I come here. I was really amazed by this bacteria, too! I used to call them all "germs", and I'm still realising just how much more they do than get killed by toilet cleaners.